It starts back in 1947 with the creation of Melroe Manufacturing Company in North Dakota (USA). It isn't until 1960 that the first "real" compact loaders in the world came to be : the M-400. Two years later, its successor, the M-440, had high performances. The company called « Bobcat » like the animal (fast, strong and agile), this new loader was and is still a important product for the company, which took its name in 1998. 60 years later, the company hasn't lost its dynamism and keeps going. Since its creation, Bobcat hasn't stopped creating efficient models for a wider clientele. The company stood out from their competitors on several occasions. In 1960, they start selling the M-400 and get a huge success in return. Only three years later, they launched the improved version, the M-444. It was the first loader from the brand sold on the European market. The innovation continues and in 2001 they launched the first four-wheel steering loader in the world. Once again the machine is a success but the manufacturer doesn't only continue its innovative approach. In the 1990s, Bobcat set a very efficient diversification strategy by producing mini-excavators. In only 13 years, they have produced 50.000 machines of this type. Now they have extended their range with telescopic handler, excavators, a range of compact loaders with lots of models (4-wheel steering models, track models, wheel models), and accessories for all needs. Since the beginning of the brand, the branch from the South Korean group Doosan had always had high ambitions. It has branches in different countries. They set up a manufacturing factory in the Czech Republic in 2007, then in France. 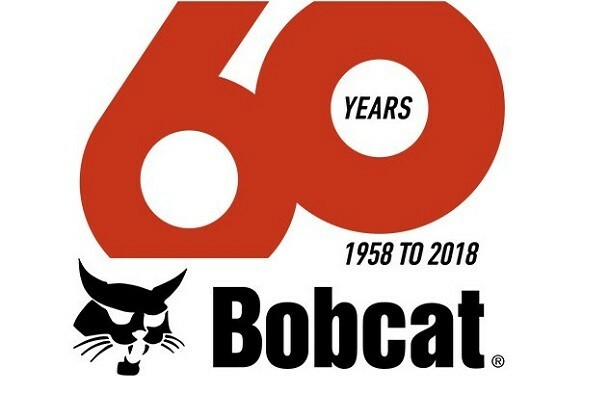 A little while after, in 2015, the first Bobcat dealership opened in Dubai, this being the beginning of the African and Middle-East market conquest. Two years later, they launched on the Russian market with a range of loader-excavator. Today, Bobcat has180 delearships in the EMEA area. For their 60th birthday, visitors will be able to see the most recent products and developments from the company, during Intermat from April 23rd to 28th in Paris, France.